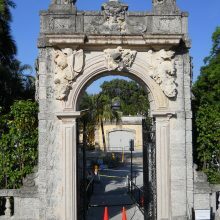 Vizcaya Museum and Gardens located in Miami, Florida, contains the largest collection of Italian outdoor sculpture in the United States. The collection has suffered the ravages of tropical storms and hurricanes over the past 100 years. 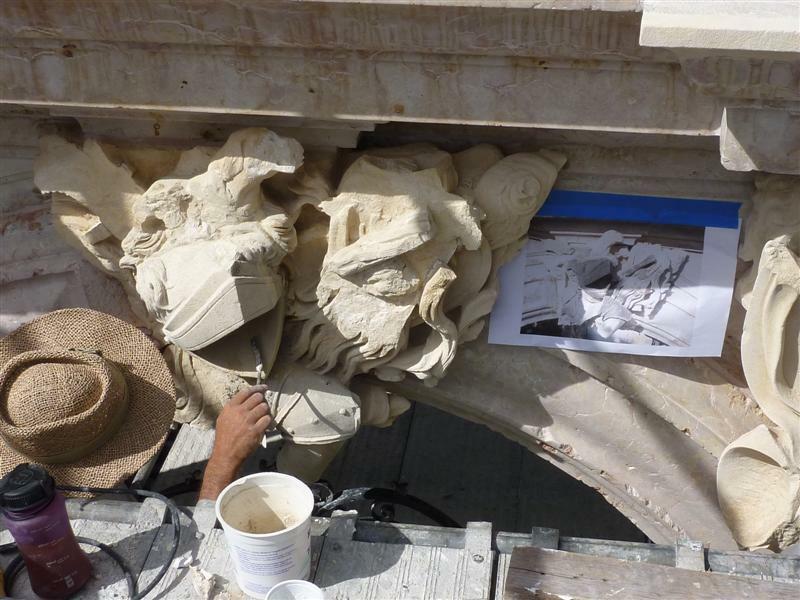 Grants from the Tiffany & Company Foundation, the federal government’s Save America’s Treasures program, and funds from Miami-Dade County supported a multi-year outdoor sculpture conservation project. 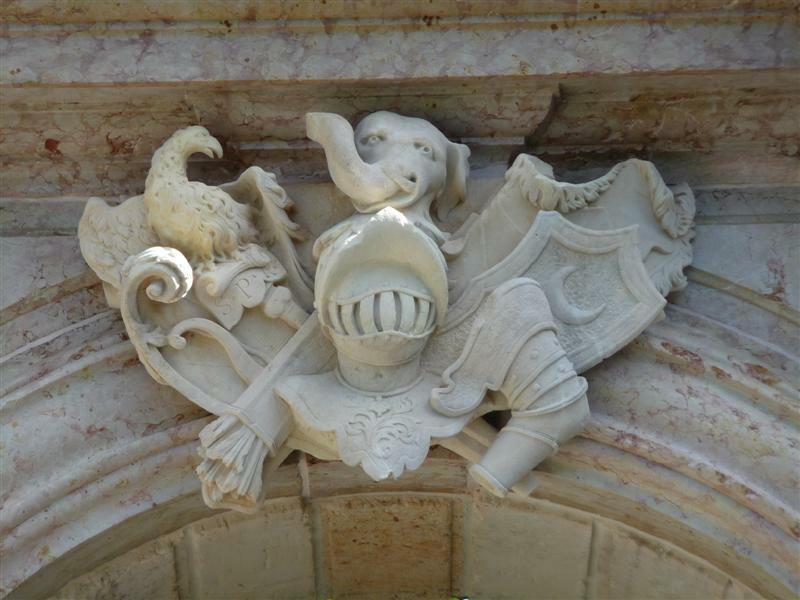 We were selected for the contract and the first phase of work began in December 2009 to restore the sculptures, fountains and architectural elements throughout the garden. 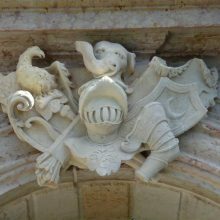 These two monumental Gateways which flank the entrance façade of the villa are embellished with 16th century Italian architectural elements. 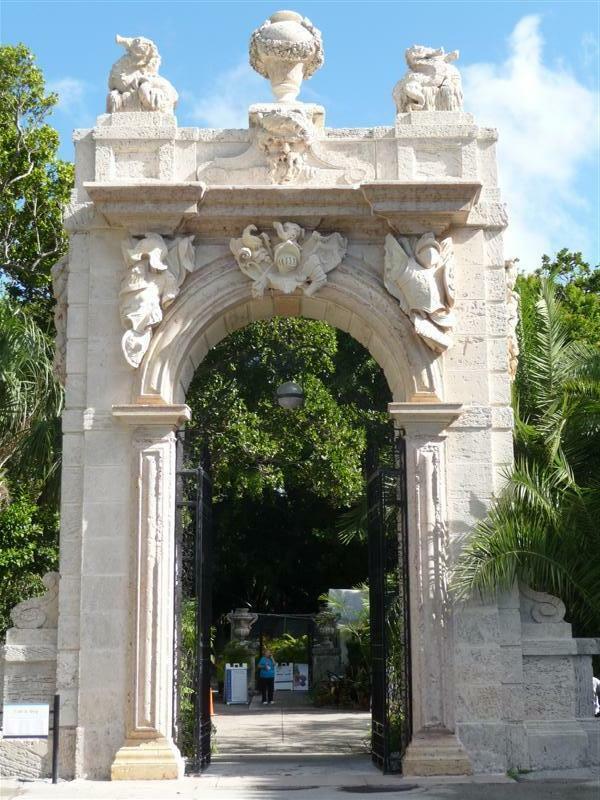 The Rosso di Verona marble archways and cornices, and cream colored limestone trophies were purchased in Europe and shipped to Vizcaya where they were incorporated into Chalfin’s design. 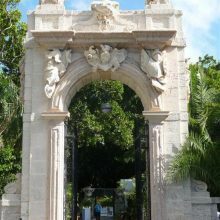 The gateway itself is constructed from local Florida coral limestone, including the additional seahorse and urn sculptures atop the attic. 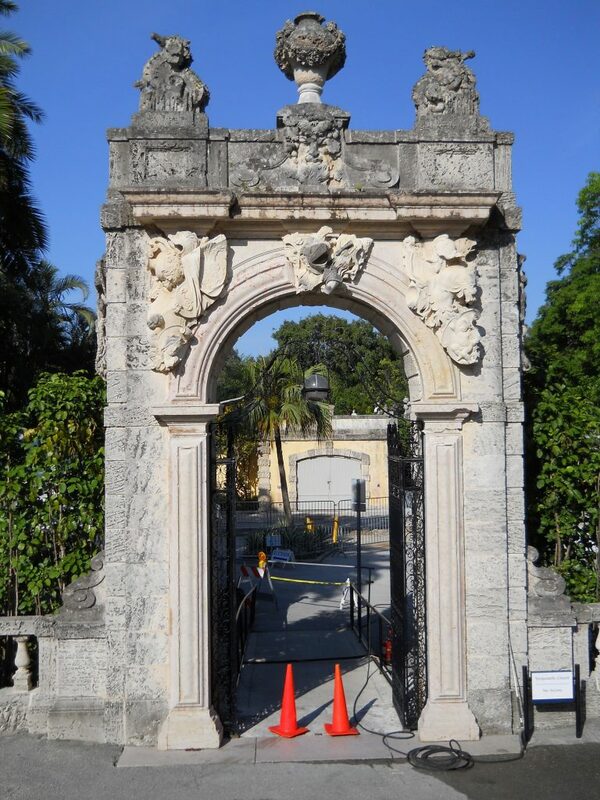 Treatment of the gateways included cleaning to remove atmospheric soiling and biological growth followed by thorough documentation and inspection, after which all joints were raked and repointed, stone losses were patched or repaired with new coral stone dutchman. Trophies required partial disassembly to remove failed and inappropriate repairs, poultice cleaning to remove deeply set stains, followed by reassembly, patching and surface stabilization. 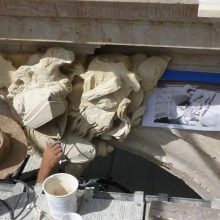 The marble cornice and arches required injection grouting of cracks, patching of losses, and the application of a renewable stone color enhancer to revive the weathered surface of the marble.